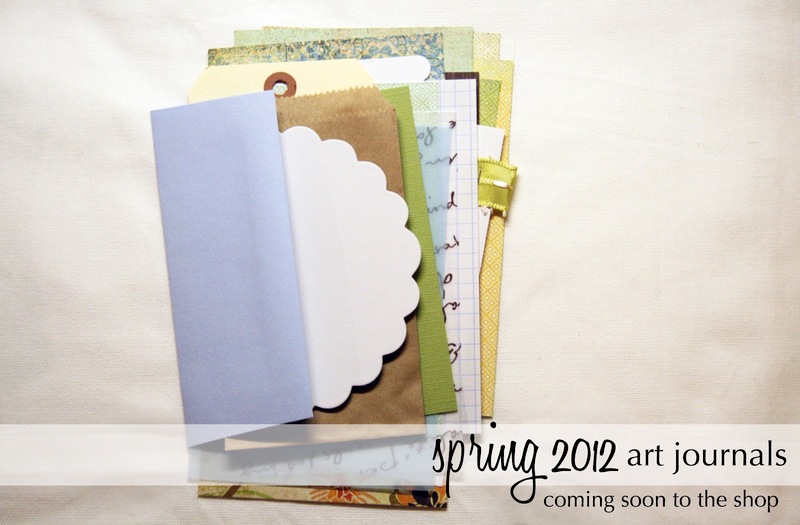 Finishing up putting together a few Spring Art Journals for the shop. So excited about these cute little journals. The journals will have 22 pages, including papers from BasicGrey, decorative wax paper, blue vellum, a transparency, a large shipping tag, graph paper, die cut papers, envelopes, embellished cardstock, and more. 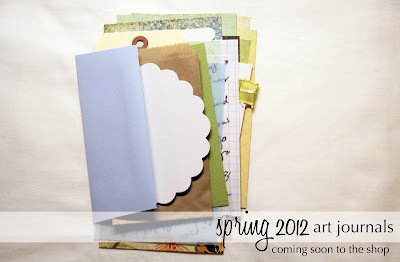 These little journals are 4"x6" and will be perfect to document the spring season :) Also included will be coordinating washi tape samples, ribbons, buttons, tags and other embellishments. I will be listing these in the shop by the end of this week :) To keep up with when they will be listed, follow The Creative Place Facebook Page - I now update shop details there :) I will also try to post here once they are live in the shop. To see a few examples of other seasonal journals I have created and sold in the shop, go here, here, or here.